Serving Amsterdam since 2009, Dr. J.G. 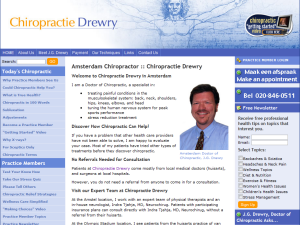 Drewry offers the latest chiropractic techniques including Applied Kinesiology, Thompson, Diversified and Extremity Adjusting. New York Chiropractic College graduate serving Sparta since 2002 offers Diversified, Activator Methods®, SOT, Thompson, Applied Kinesiology and Active Release techniques. Western States Chiropractic College graduate serving Cedar Mill since 2003 offers Diversified, SOT, Thompson, Torque Release, Webster and Activator Methods® techniques. Massage Therapy is also provided. 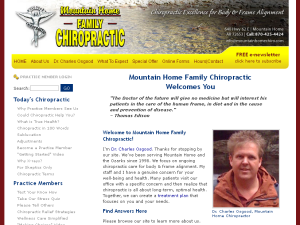 Dr. Charles Osgood serving Mountain Home since 1998 offers Diversified, Thompson, Activator Methods® and Cox Flexion-Distraction techniques. Spinal Decompression is also available. 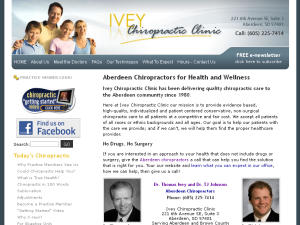 Ivey Chiropractic Clinic serving Aberdeen since 1980 offers Diversified chiropractic adjustments and nutritional advice. Canadian Memorial Chiropractic College graduate serving Brantford since 1999 offers Diversified, Torque Release, Thompson, Gonstead, Toggle Recoil and Webster techniques. Chiropractic during Pregnancy is also offered. 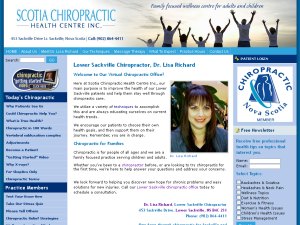 Canadian Memorial Chiropractic College graduate serving Lower Sackville since 1998 offers Diversified, Thompson, SOT and Webster adjusting techniques. 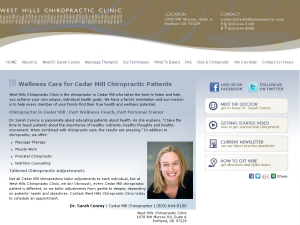 Massage Therapy, Laser and Custom Orthotics are also available. 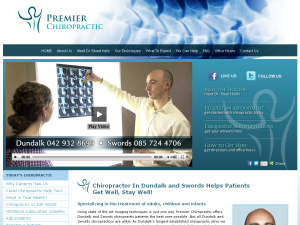 Dr. Stuart Kelly serving Dundalk and Swords since 2002 offers Diversified, Thompson, Activator Methods®, SOT and Applied Kinesiology techniques. Dr. Anthony Papaleo serving East Bentleigh since 1993 offers Diversified, Applied Kinesiology, Activator Methods®, Sacro Occipital, Motion Palpation, Neuro Emotional, and Thompson techniques. 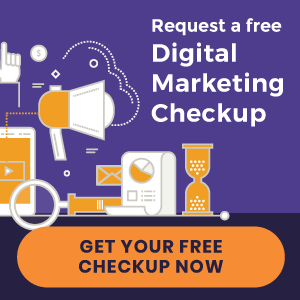 Naturopathy is also available.